Paris is a distractingly beautiful city and its historical buildings vibrate with the vitality of 21st century. It is constantly grappling with the challenges of today’s world— poverty, migration, unemployment, climate change, to name some. Choosing Paris for graduate studies is a really good decision. First, of all the courses — it genuinely does not matter what your subject is as nearly 35 universities and grandesécoles in Paris cater for research and training needs of every discipline in engineering, sciences, social studies, humanities, management, and law. The learning outcomes in Europe are high and one is placed in a large network that opens up many doors. However, the real reason one should go to Paris is for doing something that would not be possible in your home country. For me, the clinching factor had been courses in defence economics that I would not get elsewhere. The possibility of pushing the academic frontier is immense with interdisciplinary courses because that is where knowledge is generated. Some of my friends chose modules to better prepare themselves for internships and consultancy positions in international organisations like UNESCO, World Bank, and the Gates Foundation. Some others returned to India with new perspectives and could define a career for themselves outside the box. 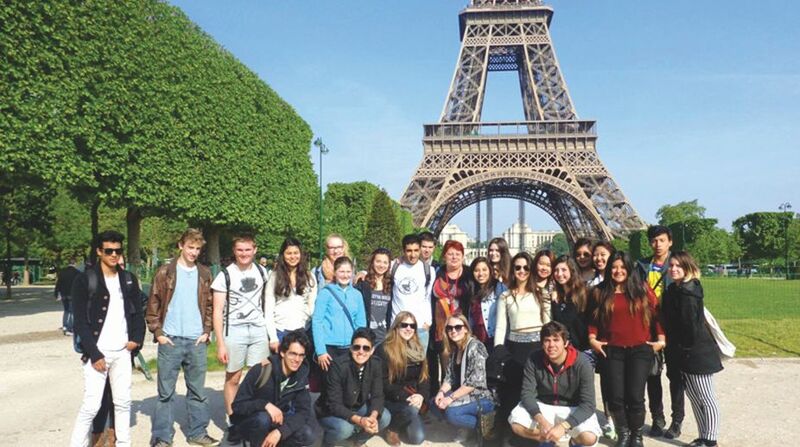 Thus, going to study in Paris is beneficial to anybody, irrespective of where they see themselves in the future. Secondly, the application process to French universities is simpler than applying to the UK or US. There are no Toefl or Ielts requirements, and rarely do they ask for GRE or Gmat results. The statement of purpose and letters of recommendation are perused by the admission committee who look for three things- how your education and experiences have led you to this application, whether you can articulate what you would gain from your engagement with the institute, and what you can contribute to the institute that accepts you. Writing the SOP is a very reflective exercise- it gives you the chance to truly imagine yourself and paint a self-portrait. The third reason would be the scholarships and living costs. Public universities in France have tuition fees that are a tenth of private school fees in India. Besides university grants, the French Ministry of External Affairs provides generous scholarships to nearly 500 foreign students annually under the Eiffel Excellence Programme. Campus France in India is particularly active and administers a large number of scholarships every year. They are also friendly and supportive, and provide assistance throughout the visa and arrival process. The Charpak scholarship, jointly provided by the French and Indian government, also helps to meet costs. The Cité Internationale Universitaire de Paris is a grand campus with student accommodations that are particularly convenient housing options for those going to Paris for the first time. CIUP also gives annual rent-free accommodation to some students upon application under a mentorship programme with a French patron. All residents (irrespective of nationality) are eligible to receive a portion of their rent from the French state through CAF (Caisse des Allocations Familiales), which is subsidy provided by the French state to support individuals and families. Another organisation to follow for student subsidies and assistance is CROUS (Centre regional des œuvresuniversitaires et scolaires).Amongst other things, CROUS runs 15 student restaurants and a large number of cafes in and around universities across Paris where food is cheap and filling. The restaurants provide a three-course meal (with many choices) for 3.25 euros, and at no point of time can you get a better deal than that anywhere in France! Learning a new language has never harmed anyone- it actually improves your professional prospects. These challenges are also one of the reasons to pursue studies abroad. Besides, living outside your comfort zone makes you a better person- more compassionate to others in plight, and wouldn’t this be a nicer world if there was a little more sympathy and efforts at understanding people beyond the languages we speak? Lastly, if you are concerned about xenophobia and facing racial hatred, I would tell you to put that aside. Universities tend to be liberal hubs which celebrate diversity and it is rare for students to face discrimination in classrooms. If you do experience such a thing on campus, there are equality and diversity officers to offer help and remedial action. Outside the campus, in your daily life, there may be instances where you find yourself feeling excluded or regarded with suspicion, and it happens in the US, UK, France, Australia, Delhi, Mumbai, Bangalore, and everywhere that is not “home”. The French are slightly better (or worse) than others because they look down upon everybody who does not speak French (or even attempt to embrace what they consider the best language in the world), irrespective of the skin colour or place of birth. In short, the French look down upon anybody who is not French, and the parisiens look down upon the French who are not living in Paris!